Social media has created a world in which everyone seems ecstatic – apart from us. Is there any way for people to curb their resentment? One night about five years ago, just before bed, I saw a tweet from a friend announcing how delighted he was to have been shortlisted for a journalism award. I felt my stomach lurch and my head spin, my teeth clench and my chest tighten. I did not sleep until the morning. Another five years or so before that, when I was at university, I was scrolling through the Facebook photos of someone on my course whom I vaguely knew. As I clicked on the pictures of her out clubbing with friends, drunkenly laughing, I felt my mood sink so fast I had to sit back in my chair. I seemed to stop breathing. I have thought about why these memories still haunt me from time to time – why they have not been forgotten along with most other day-to-day interactions I have had on social media – and I think it is because, in my 32 years, those are the most powerful and painful moments of envy I have experienced. I had not even entered that journalism competition, and I have never once been clubbing and enjoyed it, but as I read that tweet and as I scrolled through those photographs, I so desperately wanted what those people had that it left me as winded as if I had been punched in the stomach. We live in the age of envy. Career envy, kitchen envy, children envy, food envy, upper arm envy, holiday envy. You name it, there’s an envy for it. Human beings have always felt what Aristotle defined in the fourth century BC as pain at the sight of another’s good fortune, stirred by “those who have what we ought to have” – though it would be another thousand years before it would make it on to Pope Gregory’s list of the seven deadly sins. Clinical psychologist Rachel Andrew says she is seeing more and more envy in her consulting room, from people who “can’t achieve the lifestyle they want but which they see others have”. Our use of platforms including Facebook, Twitter, Instagram and Snapchat, she says, amplifies this deeply disturbing psychological discord. “I think what social media has done is make everyone accessible for comparison,” she explains. 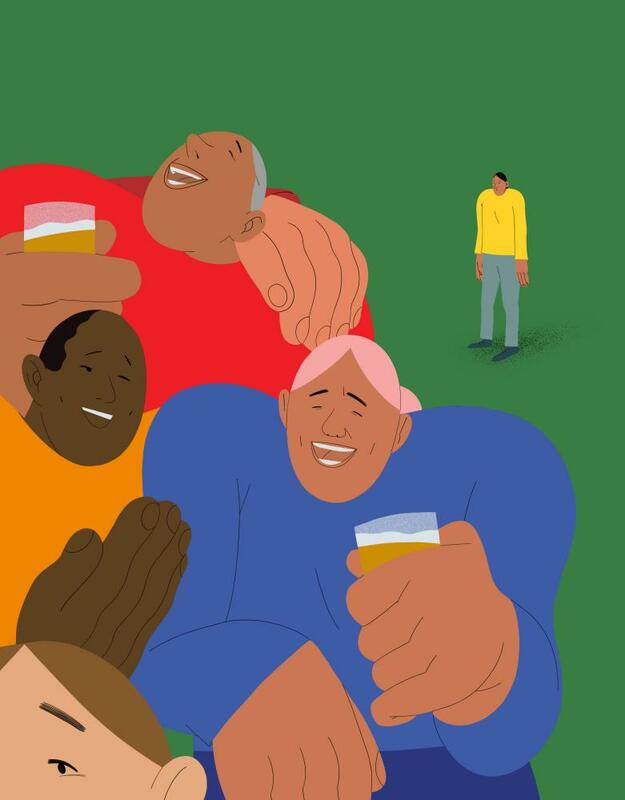 “In the past, people might have just envied their neighbours, but now we can compare ourselves with everyone across the world.” Windy Dryden, one of the UK’s leading practitioners of cognitive behavioural therapy, calls this “comparisonitis”. To explore the role that envy plays in our use of social media, Kross and his team designed a study to consider the relationship between passive Facebook use – “just voyeuristically scrolling,” as he puts it – and envy and mood from moment to moment. Participants received texts five times a day for two weeks, asking about their passive Facebook use since the previous message, and how they were feeling in that moment. The results were striking, he says: “The more you’re on there scrolling away, the more that elicits feelings of envy, which in turn predicts drops in how good you feel”. No age group or social class is immune from envy, according to Andrew. In her consulting room she sees young women, self-conscious about how they look, who begin to follow certain accounts on Instagram to find hair inspiration or makeup techniques, and end up envying the women they follow and feeling even worse about themselves. But she also sees the same pattern among older businessmen and women who start out looking for strategies and tips on Twitter, and then struggle to accept what they find, which is that some people seem to be more successful than they are. “Equally, it can be friends and family who bring out those feelings of envy, around looks, lifestyle, careers and parenting – because somebody is always doing it better on social media,” she says. How much worse would it have been for Shakespeare’s Iago, who says of Cassio: “He hath a daily beauty in his life / That makes me ugly,” if he had been following his lieutenant on Instagram? We gaze at our slimming, filtered #OutfitOfTheDay, and we want that body – not the one that feels tired and achy on the morning commute. We spit out the flavourless “edible” flowers that adorn our bircher muesli – not much of a #foodgasm in reality. We don’t know what to do with the useless inflatable unicorn when the Instagram Story has come to an end. While we are busy finding the perfect camera angle, our lives become a dazzling, flawless carapace, empty inside but for the envy of others and ourselves, in a world where black cats languish in animal shelters because they are not “selfie-friendly”. There is a different, even darker definition of the concept of envy. For Patricia Polledri, psychoanalytic psychotherapist and author of Envy in Everyday Life, the word refers to something quite dangerous, which can take the form of emotional abuse and violent acts of criminality. “Envy is wanting to destroy what someone else has. Not just wanting it for yourself, but wanting other people not to have it. It’s a deep-rooted issue, where you are very, very resentful of another person’s wellbeing – whether that be their looks, their position or the car they have. It is silent, destructive, underhand – it is pure malice, pure hatred,” she says. This can make it very difficult for envious people to seek and receive help, because it can feel impossible for them to take in something valuable from someone else, so strong is the urge to annihilate anything good in others and in themselves. She believes envy is not innate; that it starts with an experience of early deprivation, when a mother cannot bond with her baby, and that child’s self-esteem is not nourished through his or her life. As a cognitive behavioural therapist, Dryden is less interested in the root causes of envy, focusing instead on what can be done about it. 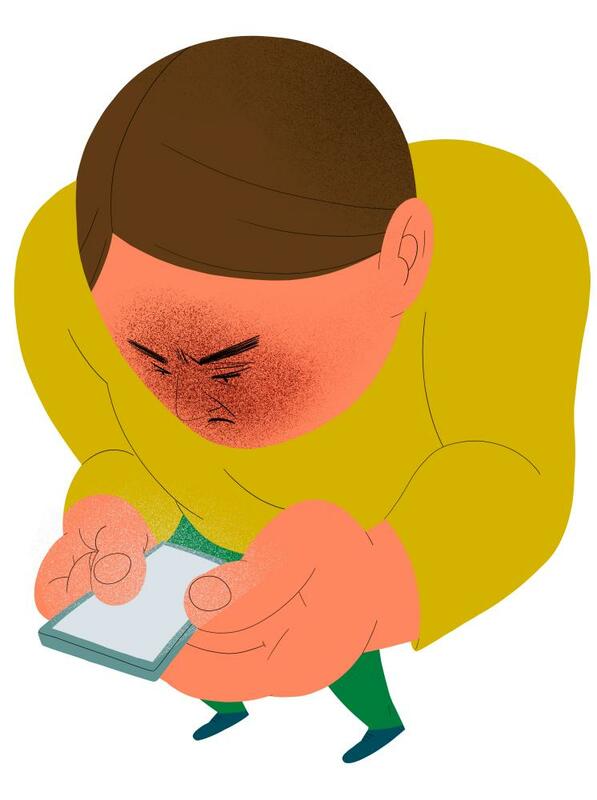 When it comes to the kind of envy inspired by social media, he says, there are two factors that make a person more vulnerable: low self-esteem and deprivation intolerance, which describes the experience of being unable to bear not getting what you want. To overcome this, he says, think about what you would teach a child. The aim is to develop a philosophy, a way of being in the world, that allows you to recognise when someone else has something that you want but don’t have, and also to recognise that you can survive without it, and that not having it does not make you less worthy or less of a person. We could also try to change the way we habitually use social media. Kross explains that most of the time, people use Facebook passively and not actively, idly and lazily reading instead of posting, messaging or commenting. “That is interesting when you realise it is the passive usage that is presumed to be more harmful than the active. The links between passive usage and feeling worse are very robust – we have huge data sets involving tens of thousands of people,” he says. While it is less clear how active usage affects wellbeing, there does seem to be a small positive link, he explains, between using Facebook to connect with others and feeling better. Perhaps, though, each of us also needs to think more carefully when we do use social media actively, about what we are trying to say and why – and how the curation of our online personas can contribute to this age of envy in which we live. When I was about to post on Facebook about some good career-related news recently, my husband asked me why I wanted to do that. I did not feel comfortable answering him, because the truth is it was out of vanity. Because I wanted the likes, the messages of congratulations, and perhaps, if I am brutally honest, I wanted others to know that I was doing well. I felt ashamed. There is nothing like an overly perceptive spouse to prick one’s ego. It is easy to justify publicising a promotion on Twitter as necessary for work, as a quick way of spreading the news to colleagues and peers. But as we type the words “Some personal news”, we could pause to ask ourselves, why are we doing this, really? Friends, family, colleagues – anyone who needs to know will find out soon enough; with news that is quite personal, do we need to make it so public? Honing your personal brand on social media may seem good for business, but it does have a price. It all creates an atmosphere where showing off – whether unapologetically or deceptively – is not just normalised but expected, and that is a space where envy can flourish. I do not think the answer necessarily always lies in being more honest about our lives – it might sometimes lie in simply shutting up. Of course, raising awareness about previously hushed-up, devastating experiences of miscarriage or abuse or harassment can have the power to challenge stigma and change society. But ostensibly authentic posts about mindfulness, or sadness, or no makeup selfies are always designed to portray their poster in the best light. When I reflect on those two moments of piercing envy that I cannot forget, I can see – once I have waded through the shame and embarrassment (so much for keeping the personal personal) – that they coincided with acute periods of unhappiness and insecurity. I was struggling to establish myself as a freelance writer and, before that, struggling to establish a social life after leaving home for university in a new city. Both of these things have improved as time has passed, but I do still feel unpleasant pangs of envy every now and then, whether I’m on social media or off it, and I see it among my friends and family. Perhaps in part it is because we do not know how to answer the question: “What would be good enough?” That is something I am still working on.